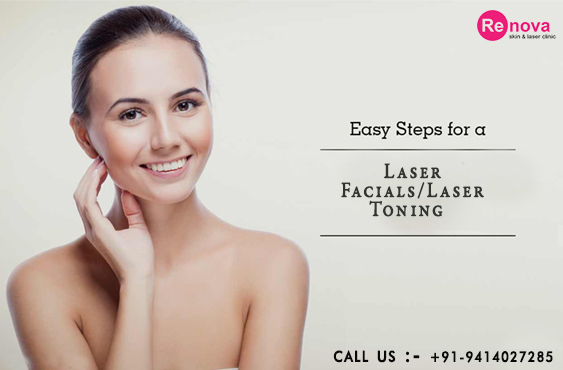 Get the improved skin texture and appearance with help of Laser toning techniques. At Renova Skin Clinic, the patients are explained how much theright laser can help to treat freckles, dull face, redness, age spots, scars, pigmentation and other skin conditions. Here Laser Toning treatment uses the non - ablative lasers which works by heating the tissues but do not damage it. The laser energy penetrates the specific layers of the skin and breaks the pigments. This is a controlled thermal energy that stimulates the body to produce elastin and collagen naturally. You found that skin gets rejuvenated, smoothed & start glowing with little to no downtime. 4 months to 6 months. How Laser Facials Work ? The Laser Facials uses beam of light to treat the irregular areas of the skin. This concentrated and short pulsating light helps to remove the unwanted skin. The level of treatment is precise that gives patient a new look. Patients suffering with wrinkles, skin irregularities and acne scars can take the laser facial treatment. The ultimate result with the laser facials can be deep clean, brightened and tightened skin. What can Laser Toning Treat ? The Laser Toning can treat Sun damage, fine lines, wrinkles, acne, and uneven pigmentation. It can also treat Melasma, dark spots, dark circles, and Spider veins (Rosacea). What are possible risks & Side effects ? As such the side effects are minimal but the laser toning can cause mild itching and stinging. This will subside after a few hours. Is the laser facial treatment painful ? No, the laser facial treatment is not painful. During the procedure some might feel a little tingling for which the doctors give topical analgesic. How much will the laser facial cost in 1 session ? The cost of one laser facial toning session may vary on the skin condition or damage on the skin and the thickness of the skin. How many follow-up sessions are needed and why ? It will depend on the skin type but in normal the total sessions required will vary from 4-10. But each session is spaced 1-2 weeks at least. What to expect after laser facial toning ? After the Laser Facial Toning, the patient might feel itching or stinging for about 10-70 hours. The skin may also lose it moisture and hence a proper care needs to be taken. The issue will persist for about 5-7 days. Wear oil free makeup and avoid use of any chemicals on your face. How long lasting the results with Laser facials ? The results with the Laser Facials Toning are permanent. It is just that the patient will have to take care of the skin to maintain the beauty. Is there an age limit to undergo the treatment ? As such there is no age limit but the children below 13 are not treated with the Laser. Who are the best candidates for laser facials ? a)	People who suffer with the acne spots or acne scarring. b)	Individuals who have too many wrinkles, more than their age. c)	Individuals who have fine lines around your eye and mouth. If other alternative like face lifts and home remedies do not work for you, then discuss your skin specialist for Laser Facial Toning. How long does the Laser facial treatment take ? One Laser Facial Treatment session will take just 10-15 minutes. Am I required to have a consultation and undergo a patch test ? It is always advisable to undergo a patch test before you take the Laser Treatment. 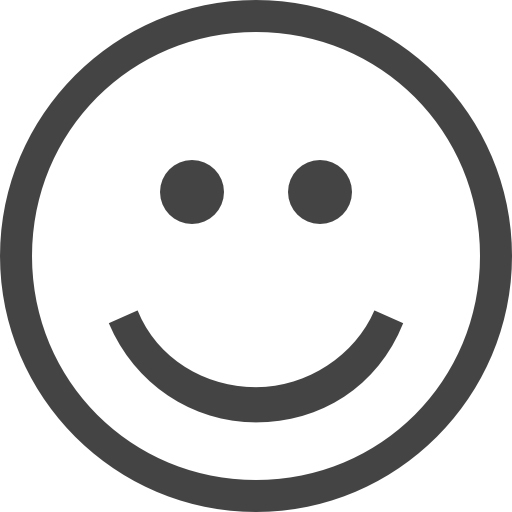 The patch test will negate any adverse reactions on your skin. Pre and Post-Treatment instructions ? a)	Should stay away from long hours Sun exposure about 3-4 weeks prior to the treatment. b)	Apply the topical anesthesia about 90 minutes before you take up the treatment. c)	Do not use chemicals on your skin like lotions, perfumes, etc. d)	No bleaching or wax on your facial skin. a)	Use antibiotic lotion as recommended by the doctor to keep the body part moist. b)	Do not wash the area till it is 24 hours of the treatment. c)	Do not use any chemical creams on the treated area. d)	If there is any infection, immediately meet your doctor. e)	Use Sunscreen lotions as prescribed. f)	Apply ice pack if you notice any redness, itching or patchy skin. Use cold water to wash your face. Is this treatment for both men & women ? Yes, the treatment for both men and women. Would rate Renova Skin Clinic for best in Laser facials or toning treatments, It was just a month ago I visited before marriage for facial toning and I got the beautiful results. A tons of thanks again and again. Totally worth it. Used many creams and Home solutions but never get the results as that I found with Renova skin clinic, Only 1 suggestion to all, we mostly never know our skin types so never take a chance, only consult the dermatologist for skin specially face. Not only face starts glowing but also makes the skin so clear and smooth. I took 4 sessions for better results. Thanks Dr Puneet Goyal and mam, for facial toning therapy on my face. You both are wonderful and nice doctors. Happy to have a facial treatment from your renova skin clinic, Jaipur. Best Skin Care Services in the Town! Renova Skin clinic is a state-of-the-art in the field of Cosmetic Dermatology in Jaipur, Rajasthan. Having dedicated trained technicians, medical staff and senior most team of dermatologists..